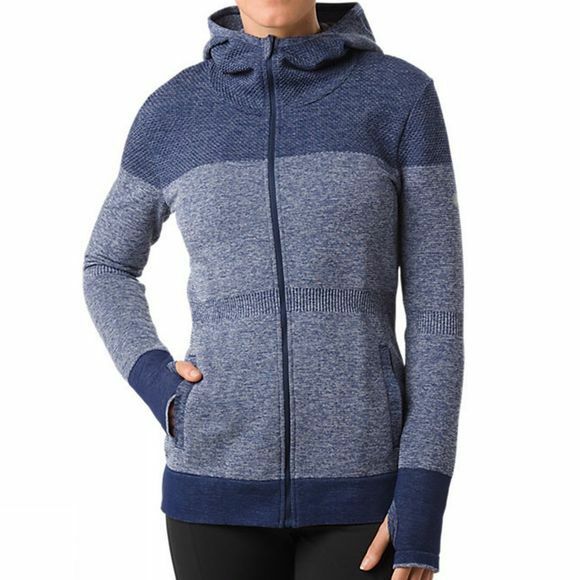 Cut and styled for the most comfortable fit, the seamless training jacket for women is functional, flattering and ideal for gym sessions, group exercise classes or outdoor activities in chilly weather. The seamless construction of the jacket works together with the soft stretch fabric while ASICS MotionDry technology wicks moisture away from your skin to reduce irritation, all as it maintains great recovery and comfort properties. 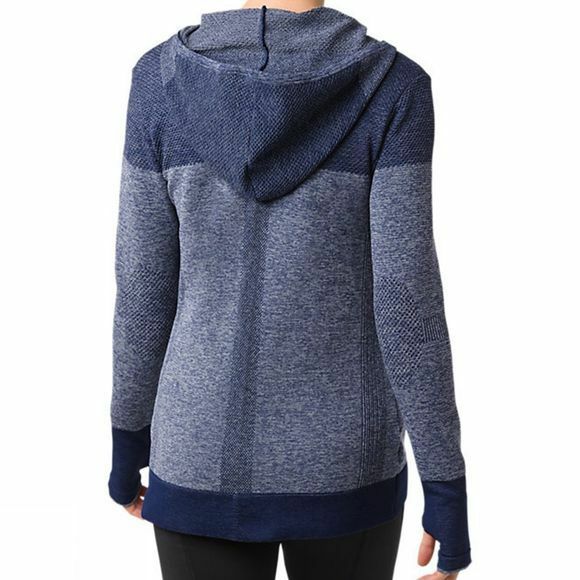 An asymmetric full zip and hood offer versatility, added coverage and easy on and off while the slim fit and flattering silhouette create a relaxed and stylish finish. Bottom slits on the sides zip open to improve mobility and range or motion while the long cuff design features thumb loops for added coverage and comfort. The front kangaroo hand pockets finish the look. This hooded, long sleeve jacket is an essential part of any running wardrobe and complimenting other items in the fuzeX range.